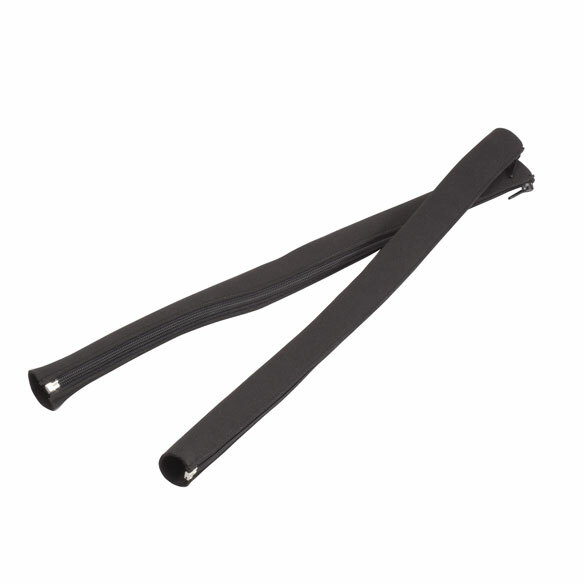 Neoprene cable organizer sleeves instantly eliminate clutter and potential tripping hazards. 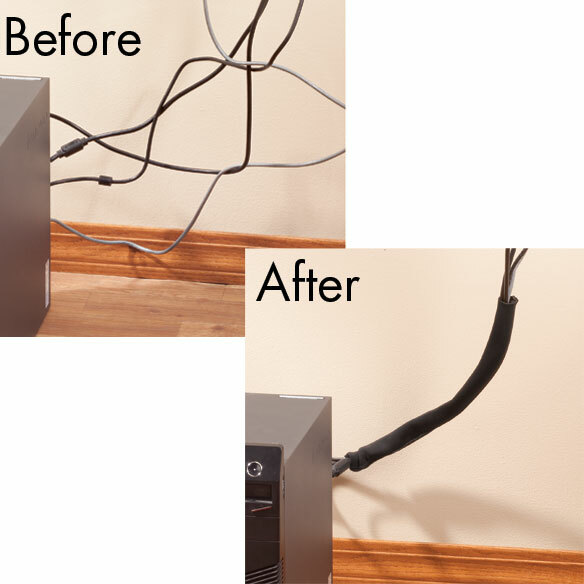 Organizing tangled cords and cables from computer monitors, TV entertainment systems, speakers and more, the soft, stretchy neoprene cord covers keep your home tidy and safe. Helps prevent pets from chewing on wires. Set of 2 wire organizers.